CHILE IS well-known for the concentration of its wine production, allowing the country to make consistent wine at competitive prices. But emerging is a new wave of boutique projects and new styles from the full length and breath of the country, resulting in original blends from little- known places. The source of such novelty is a broad range of personalities, all of whom are driven by a desire to celebrate Chile’s vinous diversity. Over the following pages is a selection of 10 winemakers to watch, each chosen for their creative and critically-acclaimed approach. 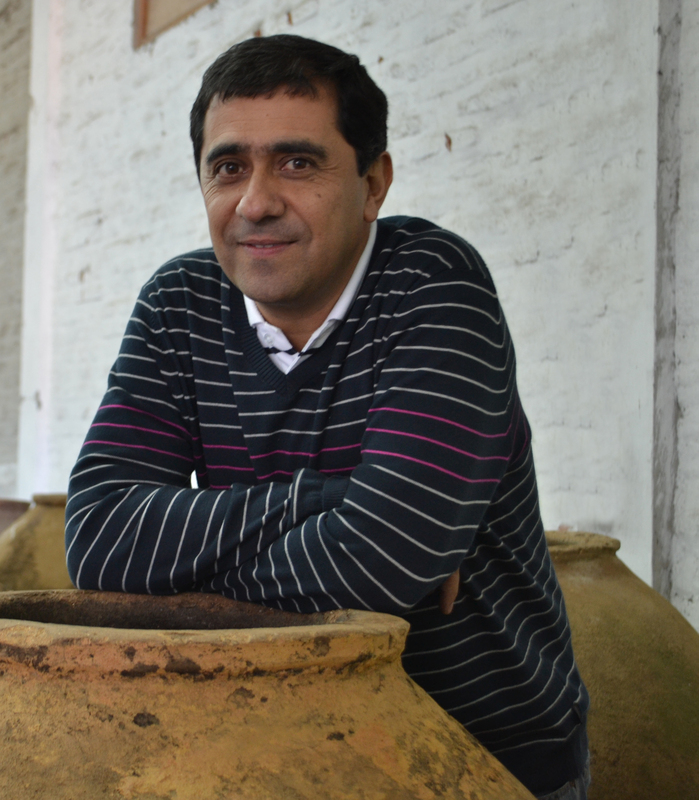 Retamal is not new, but even after 20 years filling bottles he is still at the forefront of Chile’s wine innovations. Retamal became head winemaker of De Martino winery straight after university in 1996 and since then has made wines in over 350 vineyards in Chile, executed a 12 year terroir hunt across the span of the country, and made a huge U-turn in winemaking techniques that sparked a new trend in Chile. 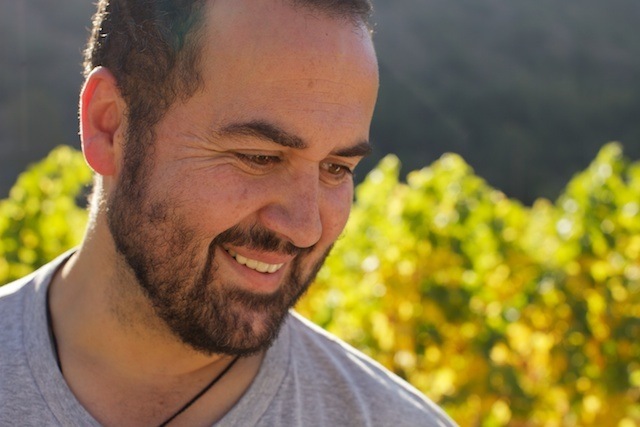 When a young winemaker is given their own personal line at a Michel Rolland winery, you know that they are doing something right. 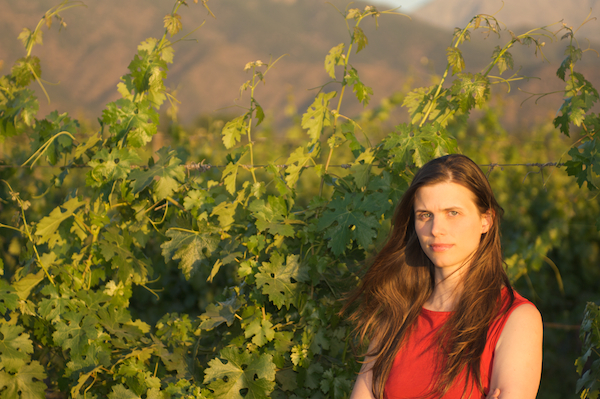 Andrea León has worked for Lapostolle (the family behind Grand Marnier) since 2004, winemaking with their high profile consultant Rolland in the biodynamic Apalta winery. However when her own personal style began to diverge from Rolland’s, Lapostolle gave León the freedom to develop her own range, which is now one of the most interesting collections in Chile. León produces an adventurous terroir series of seven Syrahs from around Chile, three Carmenères, and a few less common varieties including Muscat, Petit Verdot, Mourvedre, Carignan and Grenache. François Massoc came back to Chile to make a wine that showed Chile was more than just “good value”. After years studying in France and, curiously, winemaking in an Israeli monastery, Massoc returned home to make wine with his best friends: terroir expert Pedro Parra and Louis-Michel Liger-Belair of Vosne- Romanée fame. “We are not making money with Aristos. It is very expensive to produce, but we want to prove that in Chile you can make a world class wine,” he says. 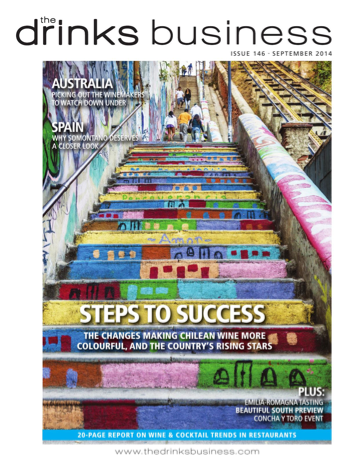 The fact that their top wine is a Chardonnay, the solitary white in Chile’s over £40 club, also proves that Chile is not just a one-trick Cabernet pony, although they do also make an acclaimed Cabernet and are also working on a Pinot Noir. An interview with flying winemaker and international consultant, Alberto Antonini. Interviewed for Casa de Uco. Why is the Uco Valley such an exciting wine region? The location is by far the best valley in Mendoza. It’s where you get some very interesting calcareous spots and well drained soils, with warm days to ripen the fruit and cold nights to retain acidity – it’s the best for the freshness of the fruit. It’s very exciting now I understand the valley. Working with Pedro Parra (a terroir specialist) I understand why I like the characteristics there. Do you remember making your own first wine? My father was a teacher but I grew up on a farm, so I was making wine for fun as a hobby and had a passion for wine. The first wine I made was there. The feeling? I was very happy. Since I was a child they were asking me what I wanted to be and I said I wanted to be a peasant and work on the land! Since I was 5 or 6 I said I wanted to be a redneck… If I wasn’t a winemaker I would like to grow apples. I also have a lot of passion for music too but I don’t have talent to make a living from that! How important is personal style in winemaking? I don’t think it is… depending where the wines are from. If it’s a place that is very special you really do very little. I don’t want to affect the expression of the place. When people say less is more, I believe it is true. To get to the point of doing less, you have to have the experience and confidence. I think it’s now I’m trying to let the grapes express their best. I don’t like it when people talk about a style of a winemaker, that’s when the wine has gone. The job is to do as little as possible. Uruguayan Sommelier Charlie Arturaola was picked as Wine and Spirits Communicator of the Year in 2012 and stars in wine film El Camino del Vino among other TV appearances. He’s renowned for his bubbly personality and for having one of the top palates in the industry. I used to see a wine taster! I feel like the Robin Hood of wine these days. My mission until the day I die is that I need to bring better quality wine to young palates to open their senses and find out that you don’t need to spend $200 on a wine or buy a Grand Cru to say it’s a good wine. There’s a lot of good wine out there for $5 to $10. Where did you grow up and what was your childhood like? My childhood was hard. My wife tells me not to say that… but my mother died very young. I didn’t end up in an orphanage, my father was such a great person in terms of trying to keep us together that he sent me to my Aunt’s house, which was very rigid and regimented! My sister did a PHD in Biology and I got really into fermentation and bacteria, I was always into photosynthesis as a kid. My grandmother was great in the garden. I would escape from my Aunt to go with my grandmother to plant the garden! We’d plant tomatoes, parsley, lemon trees… you name it! I suffered for not having my mother, but it pays back because after hours of British school, I learnt my languages and French. I lived in a very multi-cultural neighbourhood in Uruguay. It was very limited in terms of coming from working class in the very hard times of Uruguay in the 70s or 80s… The only thing you want to do is survive and so I went to Europe when I was 19 and that changed my life – it opened my eyes. A world-renowned photographer is portraying Chile’s wine world in a new light. Former rock and skateboard photographer Matt Wilson might be the bad boy of wine photography, but his emotive pictures are certainly turning heads and gaining him accolades along the way. 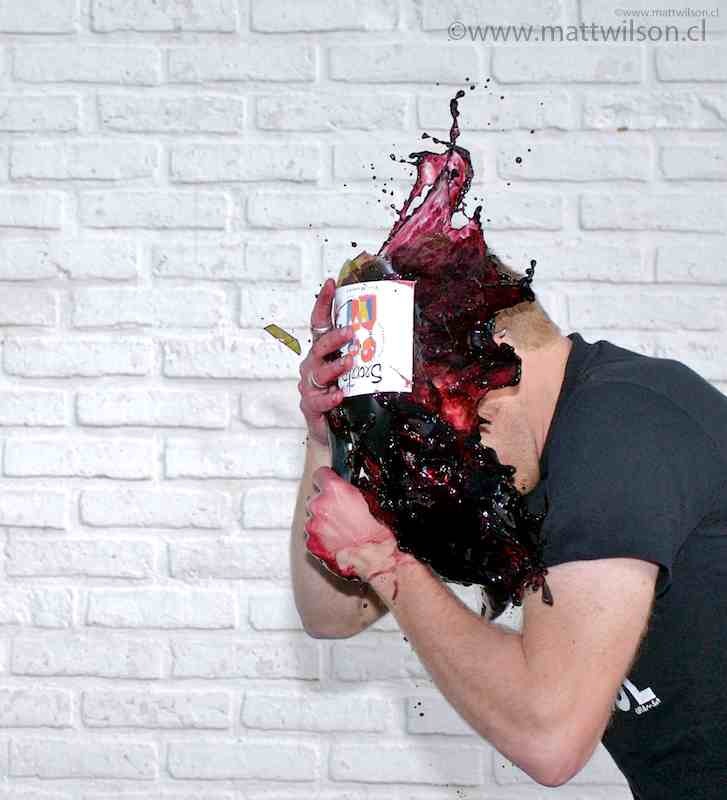 The winner of the Born Digital Photography Wine Award 2012, has a refreshing approach to wine photography which moves away from staid barrel room portraits and tired landscape shots, instead focusing more on the characters of wine, the color of the landscapes and he frequently gets a winemaker to smash a bottle of wine against his head.